Irvine, Calif., April 25, 2017 – India will not be able to meet its Paris climate agreement commitments in the coming years if it carries through with plans to construct nearly 370 coal-fired power plants, according to University of California, Irvine and CoalSwarm researchers. Further, by developing all of the planned coal-fired capacity, India would boost the share of fossil fuels in its energy budget by 123 percent. If the nation also met its goal to produce at least 40 percent of its power from nonfossil sources by 2030, the total power being generated would greatly exceed its own projected future electricity demand. India has pledged to the international community to reduce the amount of carbon dioxide released per unit of gross domestic product by as much as 35 percent from 2005 levels by 2030 and to increase renewable energy in its power grids. 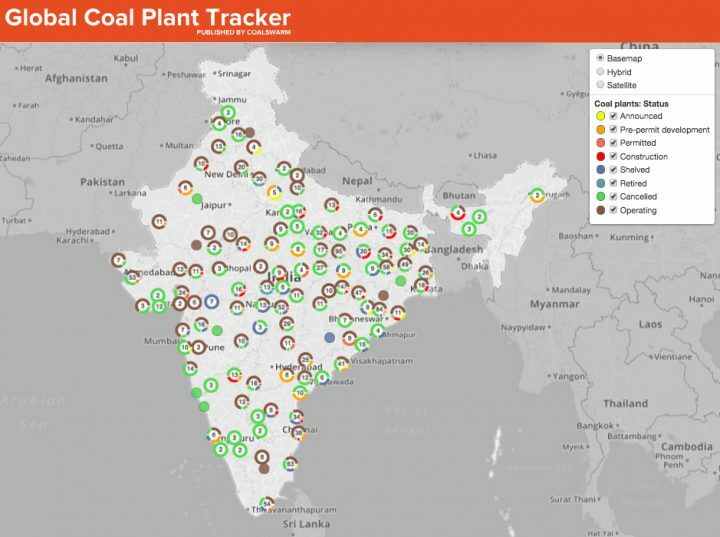 The construction of 65 gigawatts’ worth of coal-burning generation facilities with an additional 178 gigawatts in the planning stages would make it nearly impossible for India to fulfill those climate promises, the researchers said. India relies heavily on coal; 70 percent of the country’s power comes from plants burning the fuel. Because of its historically low cost and accessibility (India has large domestic coal reserves), it’s seen as furthering India’s quest to become a manufacturing and economic powerhouse and as a way to provide electricity to the roughly 300 million people in the nation who don’t have it. But the UCI and CoalSwarm researchers stressed that there are significant downsides to the fossil fuel habit. In addition to spewing harmful soot and other types of air pollution coal-burning power plants are the largest source of carbon dioxide on Earth, accounting for 41 percent of all CO2 emissions in 2015. Choices that individual countries make in regard to their energy mix have planetwide consequences. “India’s proposed coal plants will almost single-handedly jeopardize the internationally agreed-upon climate target of avoiding more than 1.5 degrees Celsius of mean global warming,” Davis said.